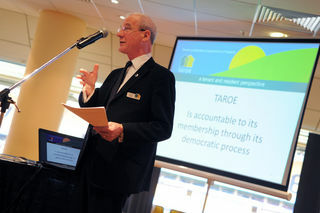 On Wednesday 15th February we held an event at the Molineux to launch our web site which is being funded by the BIG Lottery - Reaching Communities Programme. The event was well attended and we were pleased to welcome not only Council tenants but tenants from some of the local Housing Associations. Thank you to everyone for their support including Lesley Roberts the Chief Executive of Wolverhampton Homes who also came along.